There are research which proves that money can buy happiness through experience, and one of the most common experiences that people seek for is travelling. A lot of people shy away from backpacking thinking of the uncertainties lying ahead and the intensive amount of preparations that needs to be done before embarking the journey. That, to me, is the essence of backpacking. It trains us to embrace uncertainties while travelling with minimal stuff. When you backpack, your whole life is contained in your backpack, and you only have so much space for things that matter to you. You feel contented for the simplest thing in life such as getting a bowl of piping hot noodle without knowing the language or learning new thing from a conversation with street vendor. You realise that it is incredibly easy to be happy even when you own so little. When you have so little with you, you are more confident to take risk because really, what is the worst thing that could happen to you? In the worst case scenario where you have nowhere to put a night, a sleeping bag and public space are all you need to make it through. Backpacking doesn’t mean that you have to live poorly, but you come to learn about living with minimal need as a life skill - what do you really need to live the next day and how do you make the most out of it? One of the fun aspects about backpacking is abandoning the comfort of posh hotel room and opting for community based hostel. Although it means sharing bathroom and bunk bed in some occasions, it challenges your comfort zone and makes you more adaptive to minimal environment. You will find it extremely easy to strike a conversation with travelers while waiting for washroom or simply talking with the bunk mate next to you. It is amazing how the world becomes so small in that instance, and you collect so much knowledge about different cultures from all over the world. When you are not following a tour group with rigid plan, it is easy to blend into local lifestyle by observing how they travel, what they eat, where they shop, how they interact with each other. When it comes to dining, instead of building a to-eat list, it could be more rewarding to come across a crowded eatery full of locals, hop in, observe dishes on different tables and proceed to order the most appealing dish. The same idea applies to exploring places, where you can put away Lonely Planet and just dive into the streets, follow your instinct in every turn and stop whenever something attracts you. When you observe how people around you live their everyday lives, it makes you contemplate on the differences between your current environment and the place where you came from. By understanding socio-cultural background of a community, you learn to communicate with people from all walks of lives. It is exciting to be in a foreign land and live your life from day to day without much planning. More often than not you will stumble upon unanticipated difficulties during your journey. When money is not an option to solve problem, you learn to be resourceful in looking for all alternatives. You will find that life is a series of problem solving, and ‘people’ is usually the source and also the solution of problems. While navigating your way out, you learn to understand the other side before seeking to be understood. You will find that it is okay to let go of ego in order to reach a win-win solution. Being a light traveler without much ‘baggage’ also empowers you to be more decisive and assertive in solving problem. The more you travel, the more you see, the more you feel; you will realise that there are so many ways of living life. Whatever problem that you had before the journey started will become insignificant as you see bigger problems in the other part of world. What if you lost your job tomorrow? What if your business failed tomorrow? You know you have the skill to survive anywhere. You learn that you can live at low cost in South East Asia countries. The change in perception that there is a much bigger world out there with endless possibilities makes you feel alive. 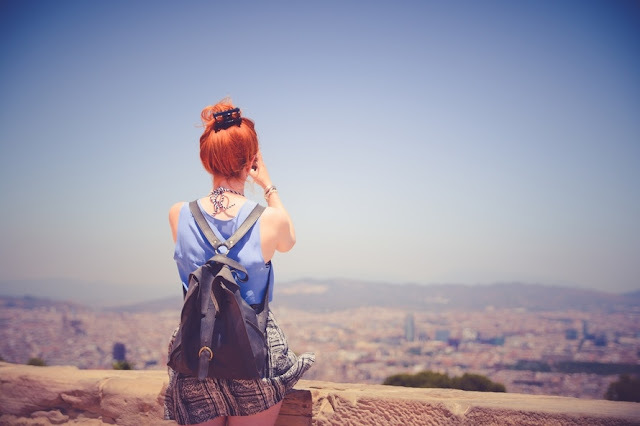 Backpacking gives you an opportunity to discover the breadth of world and opens your eyes that you do not have to be financially abundant to do a lot of things in life. It is an investment in life in that generates returns such as life experience, stories, contentment, and life skills that will broaden your perception of what you are capable of. By letting go of your desire to own stuff, you could potentially have the wealth of world experience in return. So, what is stopping you from embarking your own journey?